This workshop will empower you to take control of your and your family’s health and wellbeing through understanding the medicinal value of plants and the best ways to use them. Join us for an intensive herbal home remedies hands-on workshop to gain practical knowledge on alternative ways to treat common health conditions. You will have an opportunity to see, make and taste all food and herbal preparations under the guidance of an accomplished medical herbalist. Once Lorraine has shown you how easy it is to make your own herbal remedies, you’ll feel more confident about re-creating them yourself. - How to make your own traditional herbal medicines. 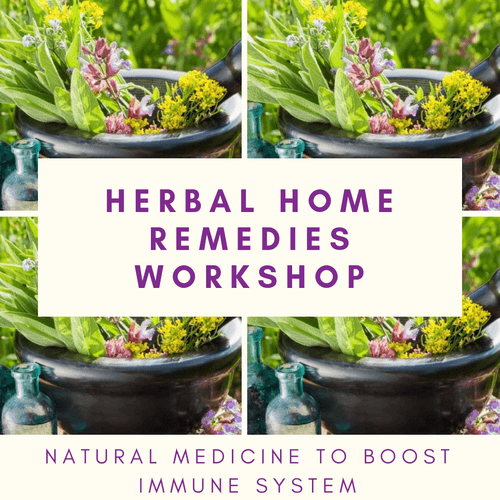 The focus in this workshop is on making herbal medicines that boost your immune system and strengthen your body to ward off and treat colds and flu.